The average driver tends to believe that well-paid celebrities drive expensive cars, often ranging in the supercar segment, like Ferrari and Lamborghini. As it turns out, that isn’t entirely true. While many celebrities do indeed drive cars with six-figure price tags, others are driving the same cars that many consumers drive. We here at Shults Ford Lincoln Wexford know of a few celebrities who drive a Ford. Known for his role in Big Lebowski, John Goodman is an Emmy and Golden Globe winner with quite the reputation behind him. One might think that such a well-know, well-off actor would be sitting behind the wheel of a fancy sports car, but that couldn’t be more wrong. In fact, Goodman rolls off in a 1997 Ford F-150. A fitting ride, especially since the F-150 is the bestselling pickup in the United States. Known for his role in the 2003 movie Hulk, Eric Bana is an Australian actor with a need for speed on the road. Why else would he have converted his first car, a Ford XV Falcon, into a racer? Bana has owned the Falcon since he was 16, a car that fits Marvel’s big green monster’s role perfectly. The last thing one might expect a late-night show host to ride around in is a 1992 Ford Taurus SHO, but that’s exactly what Conan O’Brien drives. Powered by a 3.0-liter V6 engine that delivers 220 hp, the Taurus SHO is almost as interesting as O’Brien himself. Accessing your vehicle’s trunk shouldn’t be a hassle, and with Ford’s liftgate technology it doesn’t have to be. Full hands and heavy items are no longer an obstacle when you own a Ford vehicle equipped with a liftgate. Here’s a little more information about Ford’s liftgate technology from us here at Shults Ford Lincoln Wexford. The technology was extensively tested to ensure that the liftgate wouldn’t open unintentionally. The system uses two sensors to detect when a shin and foot enter and leave the electronic field. It then tries to detect the key fob and opens the liftgate is successful. The system is perfectly calibrated to detect a kicking motion alone. 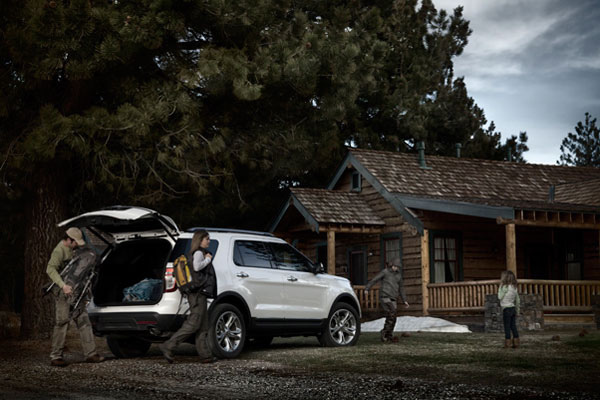 The liftgate won’t open during other encounters, such as encountering a rolling ball, dogs, and rain. Since everyone’s knee bends at a different point depending on height, the technology had to be tested and calibrated accordingly. A sample of shorter women and taller men with different knee heights, some up to two feet of difference, were used to show how the system detects the kicking motion. 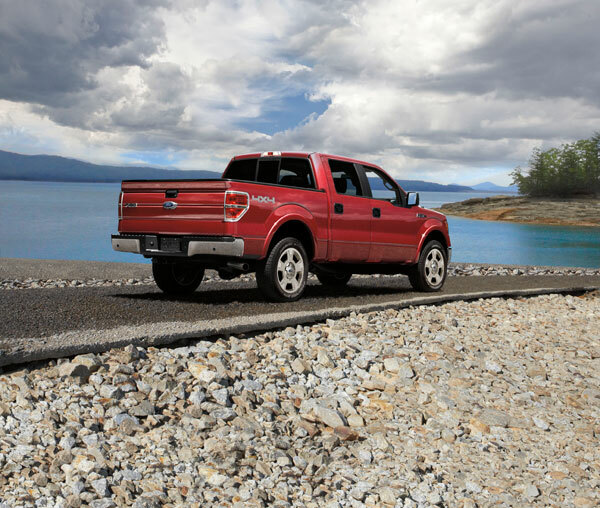 The advanced liftgate system has since been perfected and has been available in Ford vehicles since 2013.